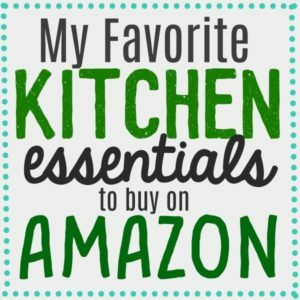 Since becoming parents a few months ago, my husband and I have gotten into the habit of playing games with each other over a glass of wine and an appetizer after the little guy has gone to sleep for the night. 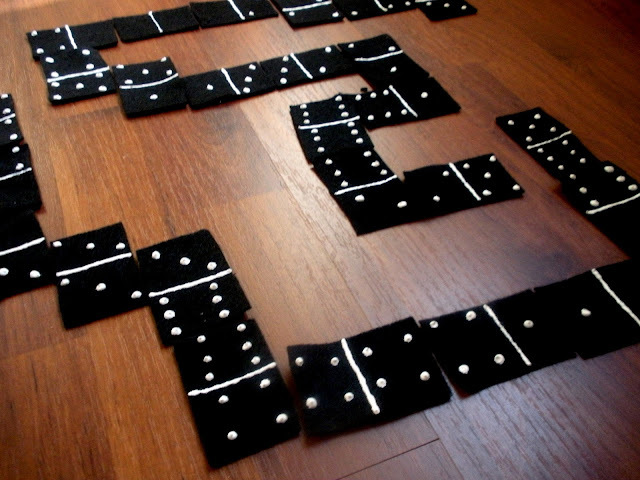 I thought it would be fun to play Dominoes, a game we frequently play at my husband’s parents house. We didn’t have any Dominoes in our home, so I decided to make some! Making a set of Dominoes was inexpensive and easy. 1) I did some research online, to see how many pieces were in a set and how many of each kind of Domino there was. I found my answers at wikipedia.com. 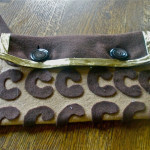 2) I cut a piece of felt into 28 ( mostly) equal pieces. 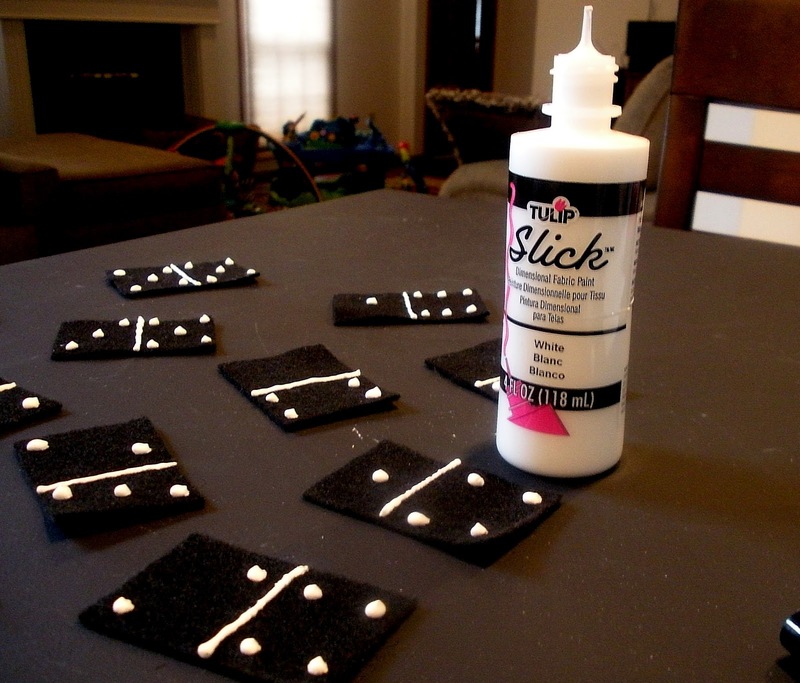 3) I used white 3d Puffy Paint to paint the dots onto the Domino pieces. 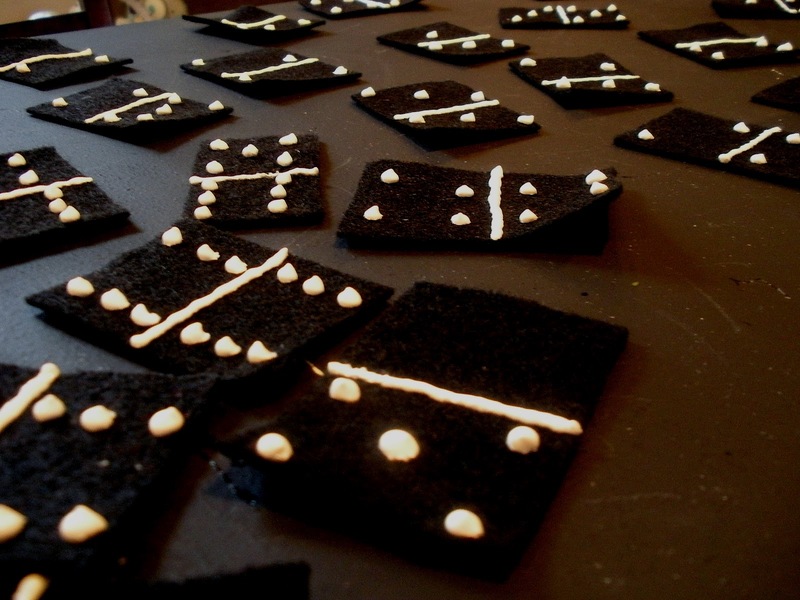 4) I waited an hour for my Dominoes to dry. 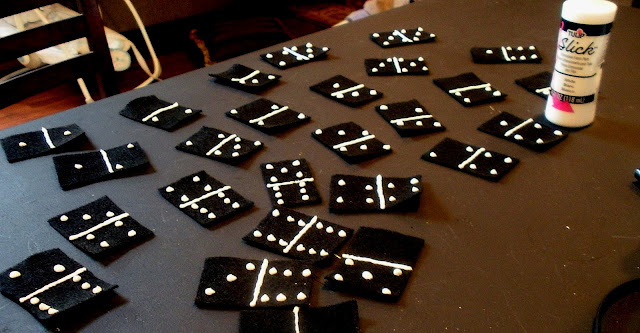 My felt Dominoes were a hit with my husband, there are plenty of Domino games that revolve around just 2 people. Of course we plan on inviting people over to play sometime too! 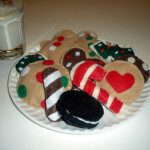 Since you're playing after the kids are in bed, the felt “bones” are quiet too. It never fails that when we shuffle our dominoes around the table, one or two fall on the floor with a loud clatter. This sure makes dominoes a quieter game. 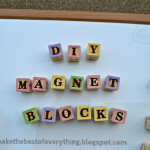 It may also be good for the littles like mine who get distracted from the game by building towers rather than paying attention to their hand.